Well folks, as predicted the banquet was an absolute success! The night of prizes, food, music and dancing sold out with over 160 people attending including the honourable Doug Clovechuck and a few of our neighbours from the Lake Windermere Rod & Gun Club. Quite a few lucky winners walked away with rifles, a bow, a gun safe and a variety of door prizes and auction items. 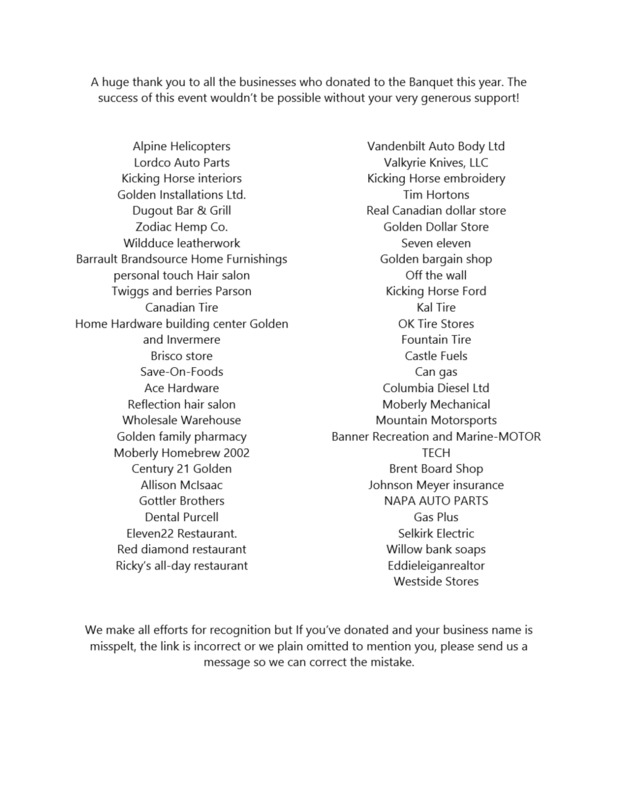 Many of the prizes were graciously donated by our very generous local businesses. A big heartfelt thank you goes out to all that made this fun evening possible.